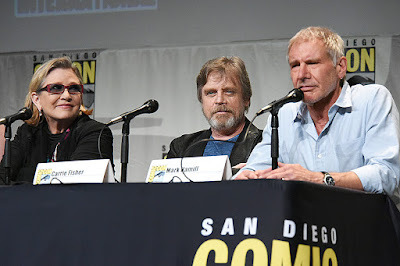 Harrison Ford's appearance was particularly sweet as he choked up talking about being a part of this franchise and being able to work alongside Hamil, Fisher and others again. It was his first public appearance since he was injured during an emergency landing in his private plane. "I'm fine," Ford said, "My foot? I just walked here."